Aston Villa's fan frustration took on the unorthodox form of vegetable hurling on Tuesday night, as a supporter launched a cabbage at Villans boss Steve Bruce. Villa, who have won only one of their last 10 games, played out an exciting 3-3 draw with Preston North End in the Championship, but the evening's headlines and Twitter talk look set to be dominated by fan protests... and cabbage. According the ​Birmingham Mail, one 'disgruntled supporter' at Villa Park launched the cabbage at the beleaguered Bruce prior to kick off. The report gives the account of an eyewitness, who said: "It was produced out of a white plastic bag and thrown towards Bruce by angry fan. He shouted 'This is what you’ve reduced us to!'" 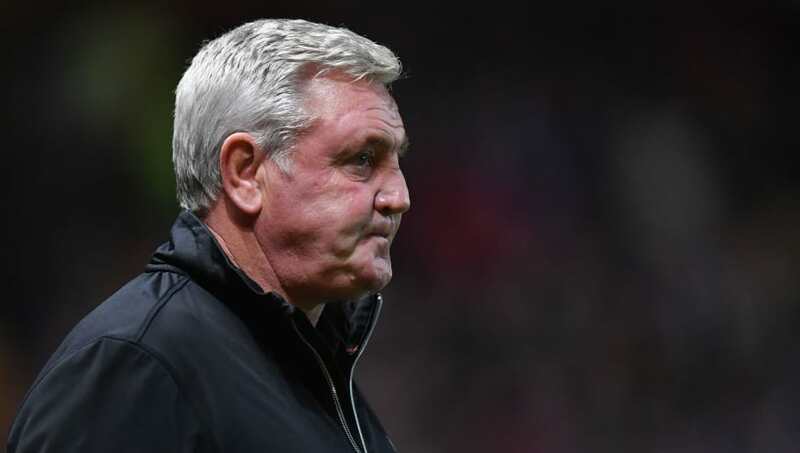 Steve Bruce: Premier League winner, manager, father, author of the Steve Barnes crime novels, can now add 'reducing' fans to fashioning projectiles out of salad fodder apparently. What a time to be alive. The Villans escaped with a point on the pitch, drawing 3-3 with Preston despite taking a 2-0 lead at the break. Yannick Bolasie rescued a point at the death, while Tammy Abraham and Jonathan Kodija were also on the scoresheet and James Chester was sent off. Any chance of that cabbage replacing Bruce as Manager. He threw a cabbage at Steve Bruce what have you done?